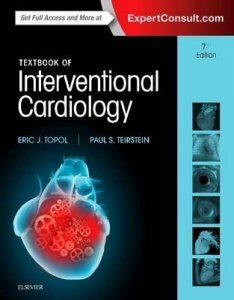 Ideal for cardiologists, surgeons, and referring physicians who need a clinical guide to interventional procedures, Textbook of Interventional Cardiology focuses on the latest treatment protocols for managing heart disorders at every level of complexity. 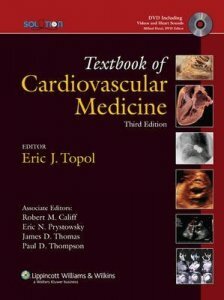 In this updated edition, Dr. Topol continues to bring together experts in the field who present the current state of knowledge and clinical practice in interventional cardiology, including cutting-edge theories, trends, and applications of diagnostic and interventional cardiology, as well as peripheral vascular techniques and practices. The Topol Solution gives you a complete print and multimedia package consisting of Textbook of Cardiovascular Medicine, Third Edition, a DVD, and access to a wealth of online resources. Updated throughout by renowned international authorities, Dr. Topol's best-selling text provides a comprehensive, contemporary view of every area of cardiovascular medicine--preventive cardiology; clinical cardiology; cardiovascular imaging; electrophysiology and pacing; invasive cardiology and surgical techniques; heart failure and transplantation; molecular cardiology; and vascular biology and medicine. The bound-in DVD contains the full text, plus heart sounds, an image/chart/table bank, and videos of procedures--catheterization, CT/MRI, echocardiography, electrophysiology and pacing, intravascular ultrasonography, nuclear cardiology, and surgery. The Topol Solution Website includes the fully searchable text, heart sounds, and an image/chart/table bank downloadable to PowerPoint--plus questions and answers from The Cleveland Clinic Cardiology Board Review; a PDA download of cardiology drug facts; quarterly articles from Critical Pathways in Cardiology, and links to other cardiology Websites. This volume aims to uncover the structural, physiological, and functional foundations of acute coronary syndromes, including developments and advances in the causes of inflammation and embolization, therapeutics, intravenous and oral antiplatlet agents, and anticoagulants. 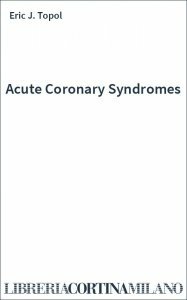 It also features theories on the cost effectiveness of diagnostic therapies of acute coronary syndromes. Vascular advances and economical developments make integration of vascular medicine and care a compelling future imperative. 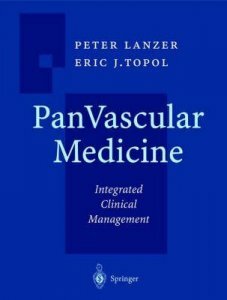 Written for cardiologists, angiologists, radiologists, surgeons and other physicians who care for vascular patients, PanVascular Medicine provides a comprehensive integrated review of all relevant vascular topics in one volume. Introductory chapters (Part I), non-invasive and invasive diagnostics (Part II) are followed by expert reviews of diseases of the coronary, cerebrovascular, peripheral, thoracic, abdominal, endocrine and genitourinary vascular circulations (Parts III-X). Emerging interdisciplinary coalescence of vascular therapeutic principles and cooperative hybrid management strategies are emphasized. Each topic is reviewed and discussed by teams of leading vascular medical, interventional and surgical specialists. Integration of topics and concise style assure an easy access and expert clinical decision making. 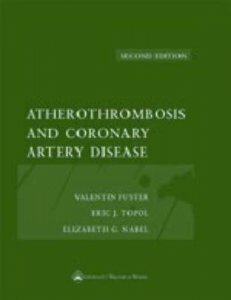 Written by the world's foremost authorities, this volume provides comprehensive coverage of current approaches to the prevention, diagnosis, and management of atherothrombosis and its coronary and noncoronary complications. This edition has been thoroughly updated, sharply focused on clinical information, and trimmed to one manageable volume. Coverage begins with a review of risk factors and prevention, emphasizing lipid abnormalities, hypertension, smoking, diabetes, and obesity. Subsequent sections examine the pathogenesis of atherosclerosis, markers and imaging, acute coronary syndromes, chronic stable angina, and noncoronary atherothrombosis. Clinical presentations, medical management, and the latest interventional strategies are included.